Keeping the Operations and Maintenance (O&M) Manual updated is an important part of keeping your company ready for inspections. Federal regulations require pipeline operators to update their O&M Manual annually. Inspectors from the Pipeline and Hazardous Materials Safety Administration (PHMSA) will review the manual during routine inspections. PHMSA has already given out over 20 Notices of Amendment this year, which are warnings that plans and procedures are not satisfactory. Here are some guidelines to follow that will help you “think like an inspector” when reviewing your company’s O&M Manual. Check that all contact information in case of an emergency or for reporting incidents is current. Make sure the manual contains procedures for contacting the state agency overseeing pipeline activity in your area, if required, as well as PHMSA contact information. If your company uses a vendor or consultant for public awareness, make sure the manual lists the current contractor. Inspectors will check to see that your company has a plan in place to track regulatory changes. Since legislative tracking takes time and requires specialized knowledge, subscribing to a legislative tracking system such as Nimonik is a great way of fulfilling this obligation without straining company resources. 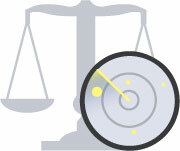 Nimonik’s legal content experts track legislation tailored to your company’s needs and requirements. Concise and understandable legal updates are delivered directly to your desktop, iphone or Android device. Not only does Nimonik’s system help you stay current, but using the system creates a record to show inspectors. Your company can more easily both comply with regulations and demonstrate your compliance to safety inspectors.